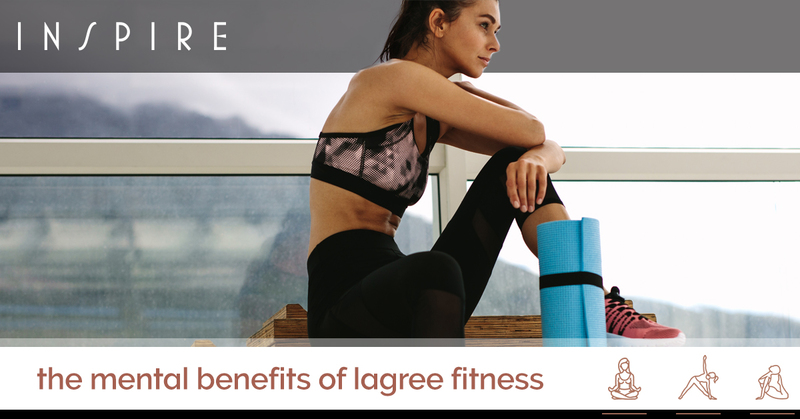 You have seen the results from your favorite celebrities, so you are familiar with the physical benefits of Lagree Fitness. You are getting a full-body workout that increases flexibility, strengthens your muscles, and improves your endurance. However, the truth is, the workout has only just begun once you start to feel your muscles begin to shake. Your legs, arms, and abs aren’t the only parts of your body getting stronger — so is your mind. The most important gains you receive from Lagree Fitness are mental. Have you ever found your mind start wandering during a fitness class? Your body may be going through the motions, but you’re thinking about what you’re going to eat for dinner or how annoying your coworker was today. You don’t have the luxury of a wandering mind during a Megaformer workout. You are forced to focus on the now because you have to listen to the instructor to understand how to do the moves correctly. Not only that, you are tuning into how your muscles are feeling and responding to those movements, so you have to concentrate. The amount of focus you use during your Lagree Fitness class translates into your daily life. When you leave your Lagree Fitness class in Seattle, you may be surprised to find that there is a slight bounce in your step despite the gloomy weather. This is for several reasons. Of course, exercise, in general, is going to lift your mood, as your body produces endorphins. There’s also the fact that you are doing something positive for self-care, which is always a great way to make yourself feel better. Finally, as we have discussed in a previous blog, Lagree Fitness simply makes you feel more confident. Your posture gets better, enabling you to stand tall. When you learn all the things your body can do, you can’t help but feel better about who you are. This overall makes you a more positive person. The ways your body becomes stronger are apparent to everyone else, but you might find yourself happiest with the ways your mind is becoming stronger. The Lagree Fitness workout is comparable to a combination of Pilates and weight training, both of which have shown to enhance memory and improve memory. When you come in for a Megaformer workout at Inspire Seattle, you know you are doing something that’s good for your body and mind. Regardless of whether your priority is in physical or mental gains, you can get them all through our Lagree Fitness studio in Seattle. New students get two classes for $30! Schedule your first session today.